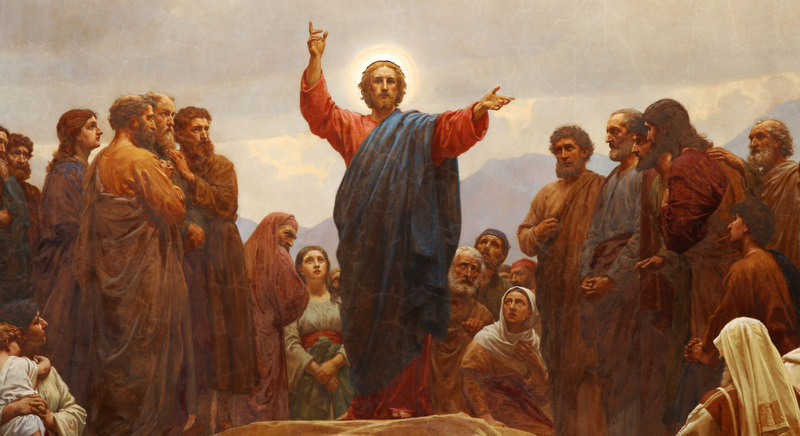 The teachings of the Sermon on the Mount were an important set of teachings, which are likely older than the Gospel of Matthew itself.4 It is therefore not surprising that they are presented in various writings and settings. A similar, but selectively shorter, body of teachings is found in Luke 6:17–49, which is often referred to as “the Sermon on the Plain.” The exact relationship between these two texts is debated,5 but they arguably represent two occasions in which Jesus propounded similar teachings but a smaller set to the crowd out on a field. Betz also argued that the Sermon’s literary function was as a philosophical epitome, a distillation or summary of Jesus’ teachings prepared for a specific purpose. He explained that it was “not intended for outsiders or beginners, but for the advanced students [to help] ‘those who have made some advance in the survey of the entire system . . . to fix in their minds under the principal headings an elementary outline of the whole treatment of the subject.’”11 This is not unlike temple teachings, which are usually reserved for those who are more advanced in their learning. A. Don Sorenson, “The Problem of the Sermon on the Mount and 3 Nephi,” FARMS Review 16, no. 2 (2004): 117–148. 1. For responses to such an argument, see John W. Welch, “Approaching New Approaches,” Review of Books on the Book of Mormon 6, no. 1 (1994): 152–168; A. Don Sorenson, “The Problem of the Sermon on the Mount and 3 Nephi,” FARMS Review 16, no. 2 (2004): 117–148. 2. See Book of Mormon Central, “Why Are There Different Versions of the Lord’s Prayer? (3 Nephi 13:9),” KnoWhy 204 (October 7, 2016). 3. In Alma 11:7, the senine appears as the smallest gold measure in Alma 11:5-13. For a more extensive elaboration and additional examples, see John W. Welch, Illuminating the Sermon at the Temple and Sermon on the Mount (Provo, UT: FARMS, 1999), 125–150. To compare differences, see 3 Nephi 12:26; cf. kodrantes, Matthew 5:26; lepton, Luke 12:59. 4. See, for example, Hans Dieter Betz, Essays on the Sermon on the Mount, trans. L. L. Welborn (Philadelphia, PA: Fortress Press, 1985), 55–70; Hans Dieter Betz, The Sermon on the Mount, Hermeneia—A Critical and Historical Commentary on the Bible (Minneapolis, MN: Fortress Press, 1995), 70–80; Alfred M. Perry, “The Framework of the Sermon on the Mount,” Journal of Biblical Literature 54 (1935): 103–115; Georg Strecker, The Sermon on the Mount: An Exegetical Commentary, trans. O. C. Dean Jr. (Nashville: Abingdon, 1988), 55–56, 63, 67–68, 72. 5. See discussion in Neil J. McEleney, “The Beatitudes of the Sermon on the Mount/Plain,” Catholic Biblical Quarterly 43, no. 1 (1981): 7–8; Robert A. Guelich, “The Antitheses of Matthew V. 21–48: Traditional and/or Redactional?” New Testament Studies 22 (1976): 446–449. 6. For example, in the Luke account, Jesus states the Beatitudes differently, pronouncing his words directly to the poor, the hungry, and so forth (“Blessed be ye poor … Blessed are ye that hunger now”, Luke 6:20–21) instead of indirectly as in the Matthean version (“Blessed are the poor in spirit … Blessed are they which do hunger”, Matthew 5:3, 6). 7. Welch, Illuminating the Sermon, 222. 8. John W. Welch, The Sermon on the Mount in Light of the Temple (Burlington, VT: Ashgate, 2009), 15–39. Biblical scholar W. D. Davies suggested that when Matthew indicates that Jesus taught from a mount, “probably no simple geographic mountain is intended. The mountain is the mountain of the New Moses, the New Sinai.” W. D. Davies, The Sermon on the Mount (New York, NY: Cambridge University Press, 1966), 17. 9. Strecker, The Sermon on the Mount, 33. 10. Betz, Essays on the Sermon on the Mount, 30. 12. See Welch, The Sermon on the Mount in Light of the Temple. 13. See Welch, Illuminating the Sermon, 47–114. Welch stated, “I shall explore some fifty elements of the Sermon that I have identified—examining in particular their possible roles in establishing or preparing to establish covenant relationships between God and his people—and consider the capacity of those elements to be ritualized” (p. 48, emphasis added). 14. Welch, Illuminating the Sermon, 128–129. 15. Welch, Illuminating the Sermon, 129–131.